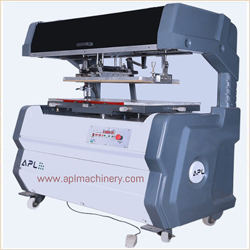 We offer a wide range superior quality Screen Printing Machines. This machine can be used in kinds of print, especially colors of golden and credit card, and so on. The full oil, fresh color & stereoscopic model make the press better than others. 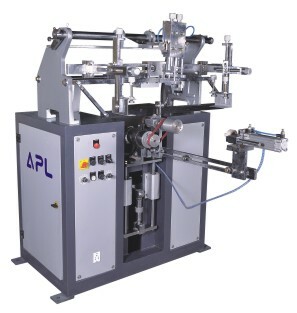 This machine is very good for UV spot coating and silver scratch inks. 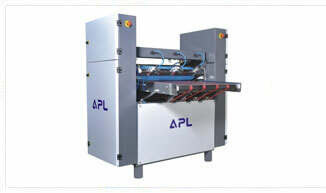 This machine is a kind of auto flat screen press of high speed and precision. 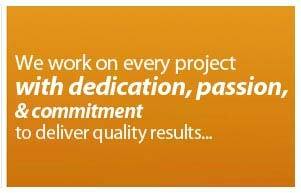 Skillfully manufacture, reasonable structure and equipped with speed print & paper feeding. It is suitable for soft & half  soft materials of 100  35 g/m square. Frequency control of motor speed is monitored & controlled automatically, with easy operation & high sensitivity. It reaches an advanced level in the country. Only one person is needed to operate the press. This machine is very realiable and easy to operate, due to which it is always preferred by the clients. 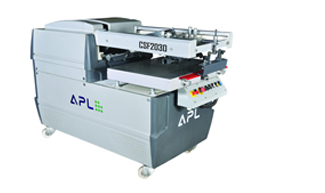 Atom Flat Screen Printing Machine is revolution in Screen Printing Industry. This machine is of its own kind with different kind of operating system. This machine is available in smaller size & is good for registration jobs. 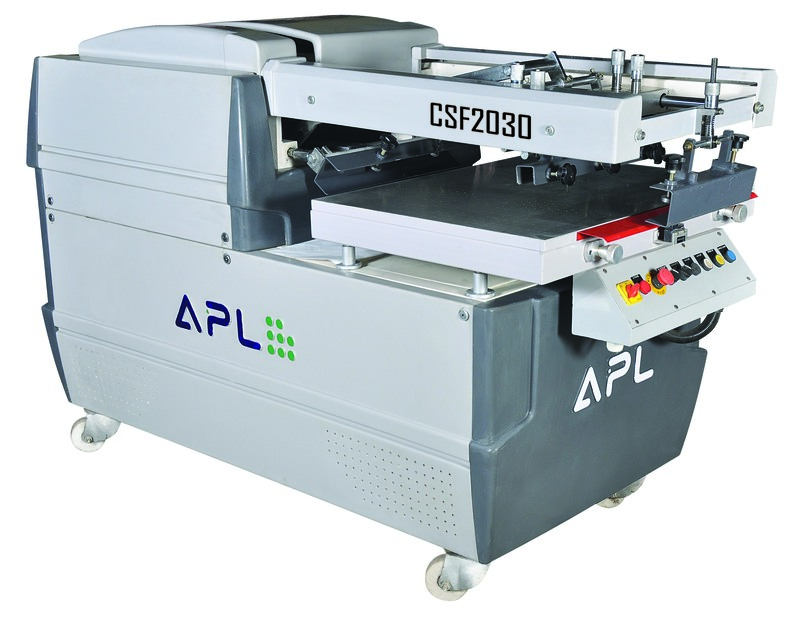 Mechanical Flat Screen Printing Machines (CSF Series Machines/UV Spot Machines) is an economical and high speed machine which is used for graphic industries and for UV spot coating. This machine does not require air compressor as printers get wider space for loading the paper. This machine is highly acknowledged for its features including superior quality, reliability, durability, high strength, cost effectiveness, etc. We offer Semi Automatic Round Screen Printing Machines that are best known for their high performance and quality. 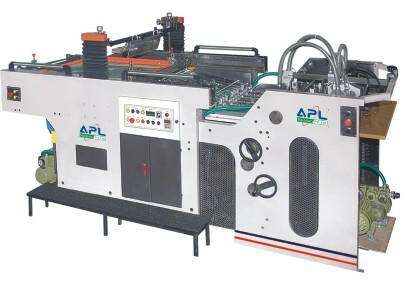 APL SA 2 can print on any round object like plastic bottles, paper cones, gift materials, novelties etc. in multicolor. This machine runs on 1 HP DC motor and can print up to 3000 impression per hour (depending on shape and size of container). The maximum size of container can be up to 5" diameter.